Do You Need Business Car Insurance? If your self employed and your work often requires you to travel whilst conducting your business activities, then you will require business car insurance cover. Their are a lot of people that think their is not too much difference between standard and business car insurance. However, that’s certainly not the case. While in most cases the additional cost can be minimal, ensuring that you have this cover when going about your business activities means the difference between you driving legally or illegally. More importantly if something should happen and you do need to make a claim, then you need to ensure you have a quality motor insurance policy active for carrying out your business related duties. activities, such as visiting family and friends and doing your shopping etc. People who are in employment will usually tag on to that, commuting to work cover and many insurance comparison engines have that as an option that is easily selectable on their insurance form. You will have to give your annual business mileage coverage when selecting this option, as well as all the other mileage you will cover with the social domestic and pleasure portion of your car use. Another scenario in which you may need cover, is when your employed by a company and they regularly send you out to different locations to carry out your employment duties. You will have to check with your employer on this to see whether their company wide insurance covers you in this regard. If not, then speak to your current insurer to see if you need to add business car insurance cover. When the time comes to renew you policy and you know your employer’s business motor insurance doesn’t cover you for business travel use, then be sure to select business use when its presented to you when using an online form, or if you decide to renew your cover using the telephone. You will notice an increase in your premiums when you add business car insurance. One of the reason’s for this is due to the naturally increased mileage that your doing. Not only are you covering more miles than you otherwise would be for standard cover, but; your also typically covering more miles during busy periods and very often driving on unfamiliar roads to boot. This makes the chances of having some form of mishap far greater which therefore puts you at higher risk which results in you paying the increased business car insurance premiums. When you select business motor insurance, on top of the usual questions about your place of residence, age and car details etc; you will have to give some details about the business that your involved with, which usually entails selecting the industry you work in and your position or job title within that industry. Always disclose your full details, don’t try to cover up anything in an effort to bring down your business motor insurance, as this will only lead to you not being legally covered when your driving your car. This could result in any insurance claim being denied and depending on the nature of the claim, could involve prosecution, especially if a third party is involved or a spot check by the police ask you to hand in your insurance details. Is It The Same As Commercial Car Insurance? The short answer to that question is no. Commercial car insurance generally covers you if you use your car for commercial purposes such as delivering parcels or a taxi service. These are more specialised insurances and differ from business car insurance, as they very often require you to take some additional form of insurance such as public liability, or goods in transit insurance, depending on the nature of the commercial use. Cheap Car Insurance For Business Use – What About Company Cars? What we have been talking about above is cars that are owned or leased by yourself. When it comes to company cars that you have access to, then the company providing the car will usually cover you. Check with the company to make sure you have adequate business car insurance before taking the vehicle out. 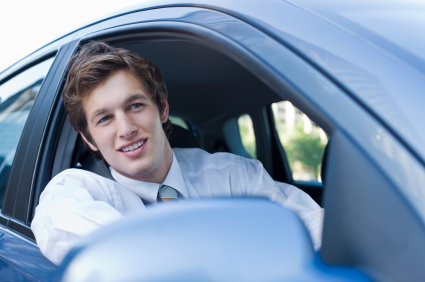 How Can You Get Cheap Car Insurance For Business Use? One of the absolute best ways of getting cheap car insurance for business use is to us one of the insurance comparison forms, such as the one available to you through Very Cheap Car Insurance. For many the costs of running a business is high enough already, so you will be looking to get the cheapest business car insurance policy you can find to help bring your costs down. Business motor insurance will vary wildly depending on the level of cover your looking for, annual mileage and car type and performance will play a large factor in how cheap you manage to get your policy for. As with any motor insurance you will benefit greatly from a clean driving record, so try to avoid making claims on your business car insurance unless you absolutely have to. Also keep on the right side of the law and avoid getting points on your license. When comparing business motor insurance policies make a note of whats included as standard and what’s included as an optional extra. You might make a saving if you look further down the comparison chart, for example; if you want something like legal cover included in your policy. A more expensive business car insurance provider may include this as standard, along with other interesting extras like free car hire while your car is being repaired after an accident. This could result in an overall cheaper policy than the one at the top of the chart if you decide you want these extras included. I hope this article has been of great help to you. If you have more questions you might find this business insurance forum very useful for more information on business car insurance. For now why not take a look at what these 100 insurers can do to help you get cheap car insurance for business use.